In engineering problems due to physical and cost constraints, the best results, obtained by a global optimization algorithm, cannot be realized always. Under such conditions, if multiple solutions (local and global) are known, the implementation can be quickly switched to another solution without much interrupting the design process. 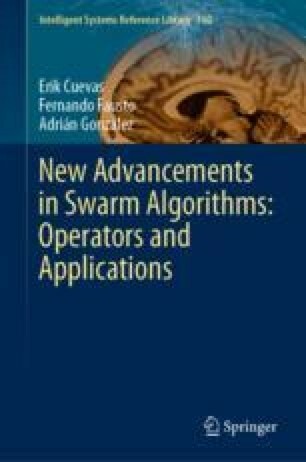 This chapter presents a swarm multimodal optimization algorithm named as the Collective Animal Behavior (CAB). Animal groups, such as schools of fish, flocks of birds, swarms of locusts and herds of wildebeest, exhibit a variety of behaviors including swarming about a food source, milling around a central location or migrating over large distances in aligned groups. These collective behaviors are often advantageous to groups, allowing them to increase their harvesting efficiency to follow better migration routes, to improve their aerodynamic and to avoid predation. In the proposed algorithm, searcher agents emulate a group of animals which interact to each other based on simple biological laws that are modeled as evolutionary operators. Numerical experiments are conducted to compare the proposed method with the state-of-the-art methods on benchmark functions. The proposed algorithm has been also applied to the engineering problem of multi circle detection, achieving satisfactory results.